Zacharie Miri is a 22 years old, living in Paris is a nurse by profession. He is also a professional magician. He does private and public close up shows, and even contested in France's got talent. When did your love of magic first start? I started pretty late compared to most magicians! I started when I was around 17 years old. My family and I were going down to the south of France, but since we live In Paris (which is around the north),we had to stop midway, in Lyon.There, we went to a restaurant in a little place. Our table was outside, and my little brother (who was 12 years old), saw a magician busking in the other end of the place. Enthusiastically, he asked my mother to see him after eating. My mother said yes, and he just ate his food as fast as possible to see him. So he performed to me one trick( a trick when the spectator has a spongeball in his hands, and the magician makes another ball to teleport in my hand, so now I have two), and I was amazed and fooled so badly at the same time, that I kept on watching one trick after the other until my father finally came to bring the both of us back ! While returning back, I was thinking that it would have been so great to learn how to perform magic. It was just a only a thought then. Then we arrived at our destination. There was 1 room for each other, and my room was a furnitured attic. And among the various stuffs in the room, I found an old magic kit! I told to myself "Well I have no excuses to not start!”. I started to learn some tricks, including the spongeball trick! And when I performed tricks to my family (and friends who were joining us later) tiny miracles, they enjoyed so much that it made me feel so good, like I never was ! Later, back home, I ordered my own magic kit, less "chilidish" and started to learn as much as possible. Among all the kind of magic in the kit (ropes, coin,etc. 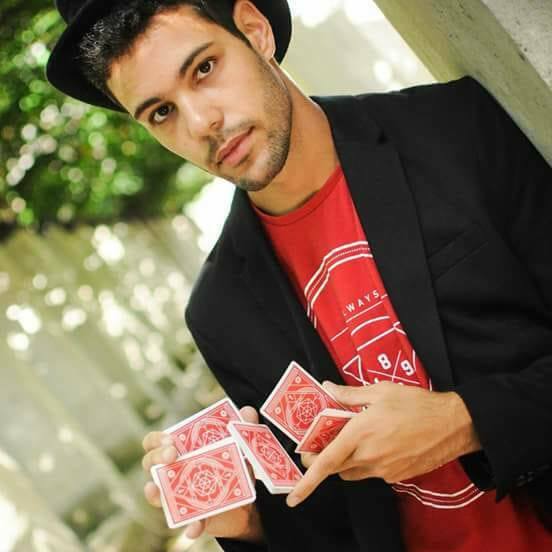 ), I oriented myself with cards, which became my specialization (like a lot of beginners), because of his unlimited possibilities of tricks, and it is ease to carry out various tricks. Meanwhile, I was studying to be a nurse, but the more I learned and performed, the more people wanted to hire me for some events. And even if I love to be a nurse, I feel so happy when, for a moment, I make someone forget everything and make them enjoy the moment and see a world where everything is possible. It is because I want to share the feeling that that magician gave me, just like your first firework, or when everyone sings for your birthday.. It is when I realized that that I saw my hobby turning into a real passion! Do you think magic is something that anyone can learn or do you have to have a certain aptitude or mindset? Time: because you'll spend hours and hours to understand a technique, timing, the presentation some tricks requires weeks, months, or even a lifetime to master! Money: because time is money haha! No really, the business of secret is well kept, and the more you'll get specialized, the more hidden secret will be expensive. Of course, you can pay also a mentor to teach you, but I learned by myself, because having a mentor is also expensive. Plus, sometimes, you have to buy some material to build/refill tricks. Doesn’t mean that you can't do good magic for cheap though, a good deck of cards and you can entertain people for hours if you know your tricks! Motivation: the most important thing to have, because it is your motivation that will make you willing to spend time and money to be better. Your motivation is often having a hard time, whether you met bad spectators or you struggle to learn something,etc . But as long as you know your true motivation, and it is strong enough, you can be one of the best!This is how I managed to reach the "professional level" while starting way later: I worked hard to succeed, thanks to my true motivation! What’s your favorites magic trick? Well first of all, as a close-up magician, I like to involve the spectators as much as possible. As I said earlier, I want them to imagine a world of unlimited possibilities, not to show me and my "magic powers". It creates a win/lose situation, which I don't like. So the less I do things, the better it is, and it is even better if THEY do it. I have a lot of tricks like that, but if I had to choose one, it would be the trick where a spectators choose any card he/she likes, place it back in the deck wherever he/she wants, and keeps the deck the whole time. Then he/she would imagine burning his own card (which I don't know). A few seconds later, the spectators feel a bit of heat. He/she spreads the deck, to find one card with a big burnt hole: it is their card!This trick is so strong, and simple to follow, that you can even do it without speaking, I love the reactions I get from people with this trick so much that I do it all the time ! 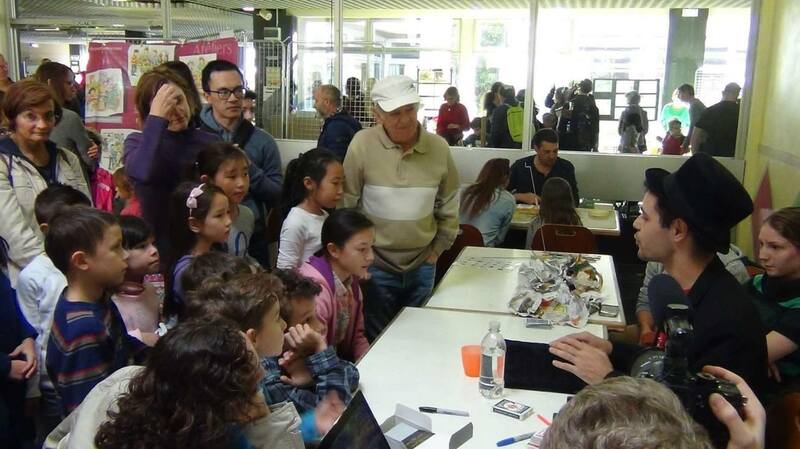 When you do magic, you meet a lot of different people, from different cultures, countries. So you have a lot of memorable moments created by the meeting of people you wouldn't even talk to without this special event. It is very hard to pick just one. Let me share couple of these special moments. Firstly, it was last year, the day after Christmas. 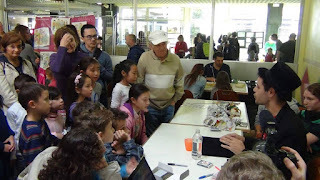 There was an activity center who was keeping kids for parents who had to work on that day. Sad for the kids when you can't play with your presents! But the director hired me to do a 2 hr long show. 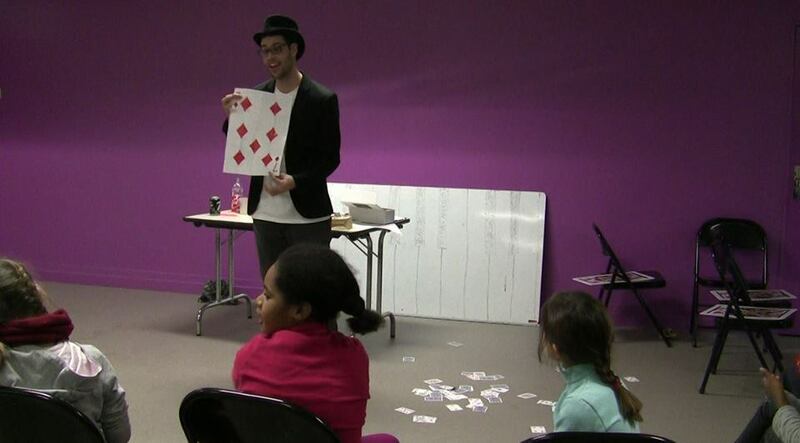 When you do magic, you enjoy creating amazement and laughs to people, and see it on their face. But from all reactions I could have in my "career", those from these 40 children were so pure and strong, that even now I can't talk about it without having a big smile and telling myself that is the best job ever! Another experience was in India. My friend and I planned our trip two months ago, so we can be sure to have every guesthouse, every train ticket on the right time and we wouldn't have to worry about it. 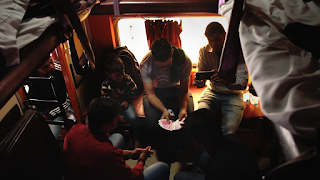 Our last night train was from Varanasi to Kolkata. But even two months before, we were the 4th and 5th on the waiting list. On the departure day, we took the night train. The first 45min of the trip was on sleeper class, with the tickets granted. But for the next 12 hours on AC2... still on waiting list! We had to sit on the floor, between to wagons, next to the toilets in the cold with people who wakes you up to cross or to go off the train. It was going to be the worst night of my life. 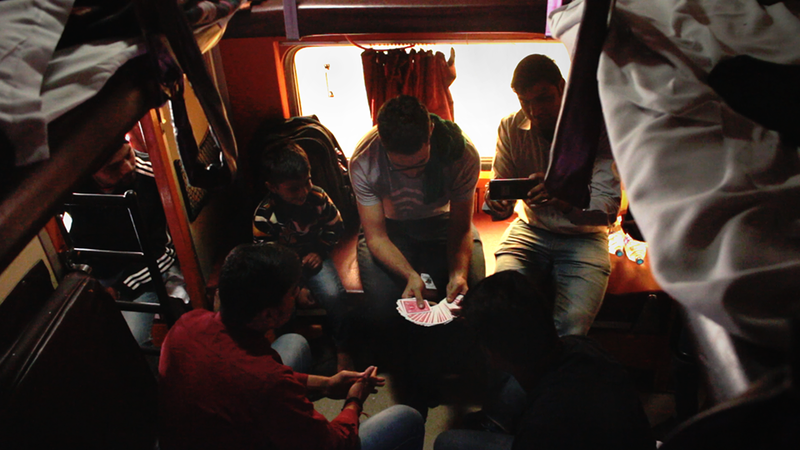 But around 23pm, the Ticket Checker told us to go to the sleeper class. So we went, and there we met another two Indians in the same trouble as us.We talked a bit waiting for him, and when I told them what my job was, they naturally asked to show some tricks. 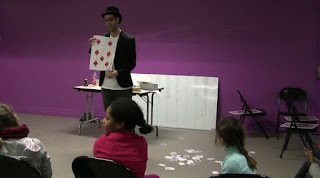 So, I did around 30min of magic tricks, and they enjoyed it so much! That is one of the reasons I love Indian people, they love magic as much as I do! But still, we were without seat, the four of us. The ticket checker came again. So my “new friend” negotiated with the Ticket Checker and got us a seat by paying bribe. The whole negotiation process took 4 hrs!.When I wanted to give my new friend the money, he told me "Don't worry my friend, it is my way to thank you for all the good magic you showed us "On that day I've learnt how people can be generous and kind, and that without magic I would have spent the night on the floor! Advances in technology have created even more possibilities in the art of illusion. What are your views? A couple of centuries ago, people tend to call "magic" anything people would do that was beyond the understanding. Nowadays we know that magic is not real (as far as we know, but the feeling of living something magical is real, it is what we try to create !). People are getting smarter and smarter, and that is when technology has a role in it. Today you can order a taxi, know the weather for 2 weeks in advance quite precisely, and talk to someone at the other end of the world! So we can use sometimes some subtle devices to do some parts of the trick that we wouldn't be able to with our bare hands, but I think some technologies are too obvious. That is the case with magic applications on Smartphone. If you think about it, if a magician brings out his own phone to do some miracles, people will think that it is just an app. And they are right most of the time! People are not stupid, they are getting clever as fast as the technology evolves, and one day everyone will know about almost everything about it. So, I think we are in a technological era of magic, with a lot of magicians performing with tablets, Smartphone. But slowly, we are entering in a new era of magic, which involves the biggest computer ever: the brain. There is a psychological subtlety that absolutely no one knows, and there is no magic app for that. What if I told you that for a moment, I could take back your ability to read? Well, it is possible... and with nothing more than words on a cardboard. Hi everyone, I am the magician from this interview ! Thank you so much for reading, and I hope you liked it. 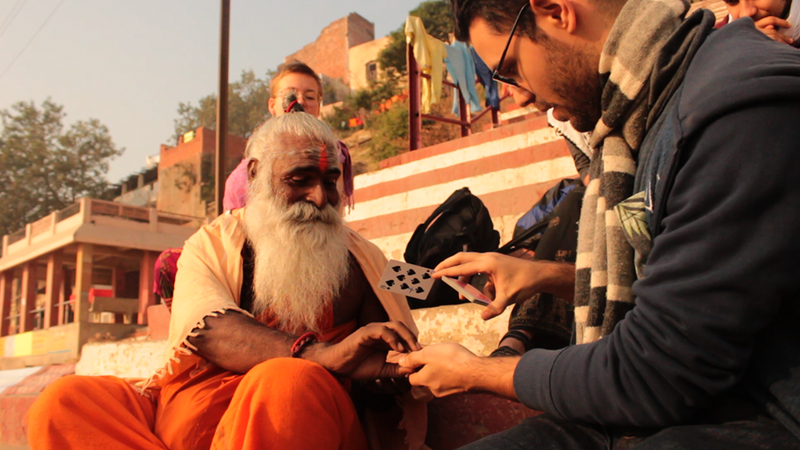 This interview was made months ago,and was the conclusion of my journey in India, doing magic shows.